Kids love a good joke..and to be honest, most kids love a bad joke too. Whatever the joke type, kids of a certain age just cannot get enough silly jokes. But when your adorable little comedian has recited his favorite joke for the 500th time that day, even the most doting parent might wish for a writer and a laugh track or two, just for variety. 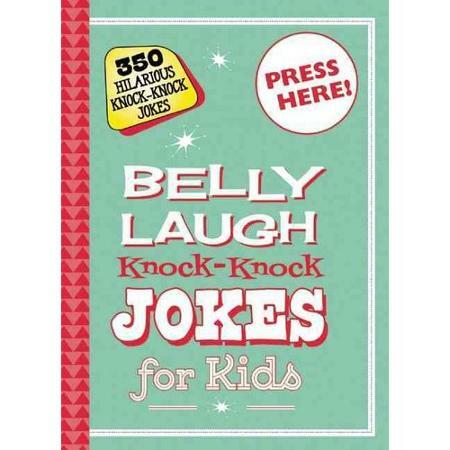 Thankfully, Sky Pony Press offers just that in the form of two new books for your little jokesters: Belly Jokes for Kids, and Belly Laugh Knock-Knock Jokes for Kids. Both books offer the same format: a sturdy, portable sized hardcover book that kids can take everywhere, stuffed with tons of jokes that will at least offer a lot in the form of variety, even if they aren’t all Letterman-worthy. 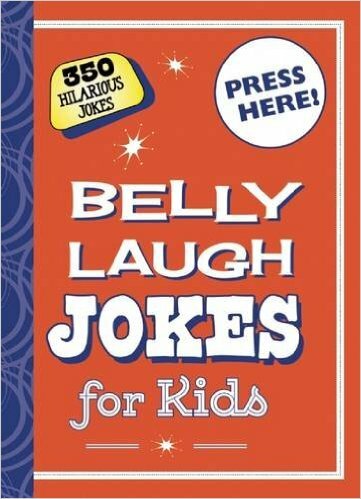 Belly Laugh Jokes for Kids offers 138 pages of traditional “question/answer” format jokes, and they’re a pretty good mix of old groaners you’ll remember from your own childhood, and new groaners thhy7at your kids will find absolutely hilarious. 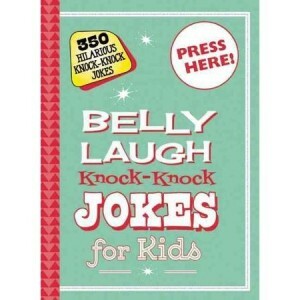 Belly Laugh Knock-Knock Jokes for Kids offers the same great mix of punny jokes, all in a “knock-knock/who’s there?” format. As a parent, you may not be rolling on the floor laughing at “Why can’t a T-rex clap? Because it’s extinct!”, but your 9 year old will, and that’s what matters. 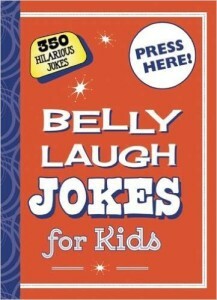 Even better, for those times when you just can’t muster up your own laughs, the Belly Laugh Jokes books come with their own. Both books have a large speaker button built right in that, when pressed, provides the readers with the uproarious laughs they’ll need to get their stand- up routine off the ground. Who can resist laughing when peals of laughter are all around you? Each book even has it’s own laugh, so if your little comic is lucky enough to get the set under the tree this year, he’ll have all sorts of laughs to brighten his day.